Cozy rooms with large windows and a banquet hall overlooking the lively city scene. Ram Villas is considered a wonderful piece of property due to its close proximity to a number of important landmarks. The rooms provided by this establishment are really comfortable and are painted in warm hues. The rooms are quite spacious and use a lot of woodwork in the interior decor. The walls of the room have been provided with large windows that provide the guests with fresh air and bright sunlight. The additional features provided by the hotel are free Wi-Fi, an uninterrupted power backup source, parking provisions, and card payment in all forms. 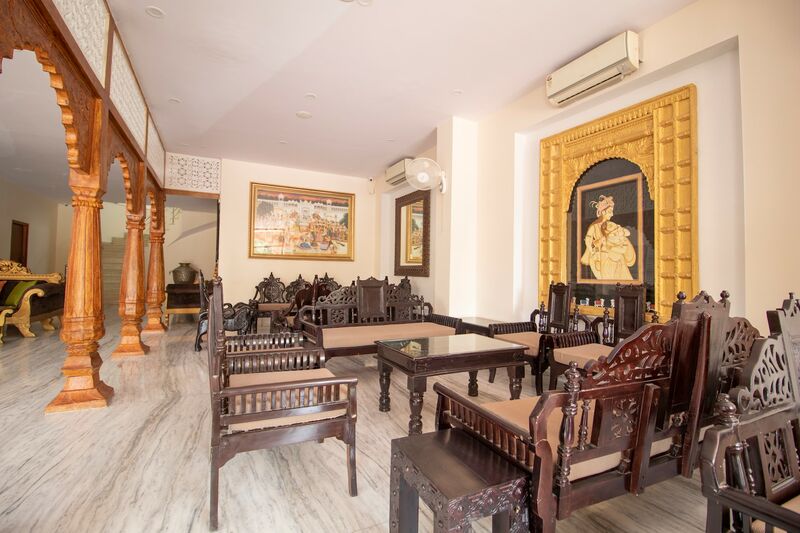 The in-house facilities include a common living room, a banquet hall and a common dining area.